Making candy is, if you’ll pardon the terrible pun, sweet. It’s also not for everyone. It doesn’t necessarily take a lot of work to make candy, but it does take time, care and attention. One little slip-up and you could wind up with a sticky mess that hardly resembles the candy you were trying to make. You’ll be even more disappointed when you realize that cleaning up after a botched candy-making attempt is one of the most frustrating things that you’ll ever experience. Having the right tools can help with this, at least a little. 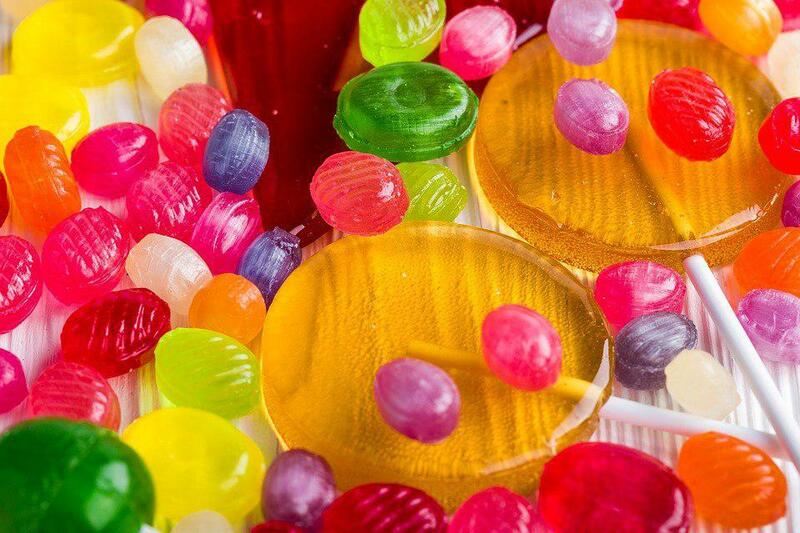 A proper candy pot will help ensure that you get things right the first time and give you the control that you need to keep your candy at the right temperature. Some of these pots are also exceptionally easy to clean, meaning that they’ll be more forgiving of your beginner mistakes. So without further ado, here are the 4 best candy pots available right now. If you want a basic pot that’s great for beginner candy making, this saucepan is the right choice. If you’ve caught the candy making bug and need a double boiler, this set is perfect for all of your needs. If you want an effective, beautiful tool to use for your candy making, this a top choice. This copper pot will give you the precision power you need to make perfect candy in your own kitchen. 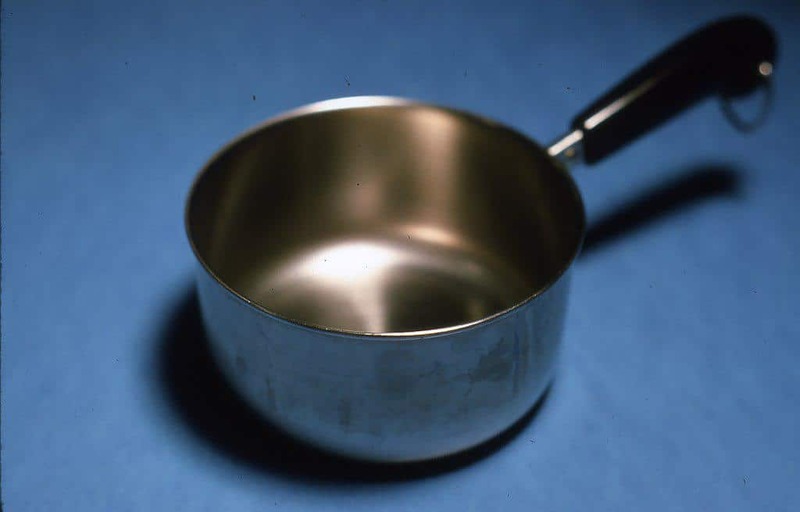 This is a pretty ordinary stainless steel saucepan. It comes with a well-fitting metal lid and has an aluminum base for quick heat distribution. So why is it so good for candy making? First of all, stainless steel is an ideal material for beginners. It’s not quite as nice as copper as far as transferring heat goes. In fact, it’s far worse. It more than makes up for that when it comes to cleaning, however. Stainless steel can easily hold up to all of the soaking, scrubbing, and abrasive cleaners you subject it to. It’s even dishwasher safe. As far as performance goes, this pot will give you enough of what you need. As I said earlier, the aluminum in the base will be quite responsive to changes in temperatures. It won’t be quite as easy to get your candy thermometer to the exact temperature you want as it would be in a solid copper pot, of course, but you’ll be more than okay for pretty much all basic candy making. The long handle gives you plenty of room to adjust the pot without burning yourself, too. 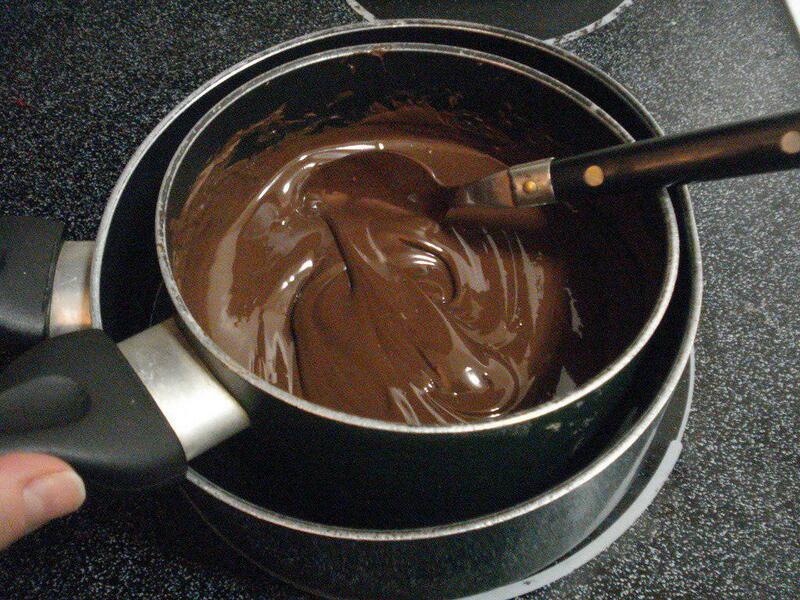 The only downside to this pot is the lack of a glass lid, but that’s not a big deal for most candy-making purposes. You’ll usually be looking at your thermometer, not your candy. If you want a basic pot that’s perfect for beginner candy making, this Cuisinart stainless saucepan is the right choice. It’s cheap, durable, and easy to clean, meaning that you can make all of your beginner mistakes safely without ruining an expensive copper pan. This set of two double boilers is ideal for candy making. While they’re a bit small for normal cooking, they’re the perfect size to melt a bit of butter, chocolate, or whatever other sweet substances you need to add to your candy. Made from stainless steel, these double boilers are easy to clean and totally dishwasher safe. In order to use this product, you’ll have to hang one (or both) of these boilers inside of a regular saucepan that’s got some water in it. These steel cups sit on top of the water and transfer heat to whatever you place inside them. They’ve got handy metal rods that come out of both sides that enable them to fit on most normal sized saucepans. As far as capacity goes, these double boilers have an internal volume of about 1 cup. They’re not quite precise enough to measure with, unfortunately, but you’ll have no problems melting 1/2 a cup of butter or quite a lot of chocolate in each one of them. If you’ve caught the candy making bug and you find yourself in need of a double boiler, this set of two is just the right size for all of your needs. You’ll love how easy this product makes melting things and applying gentle heat to your candy without burning it. It’s also great for poached eggs and hollandaise! If you’re serious about making candy, you probably already know that there’s no beating copper cookware. 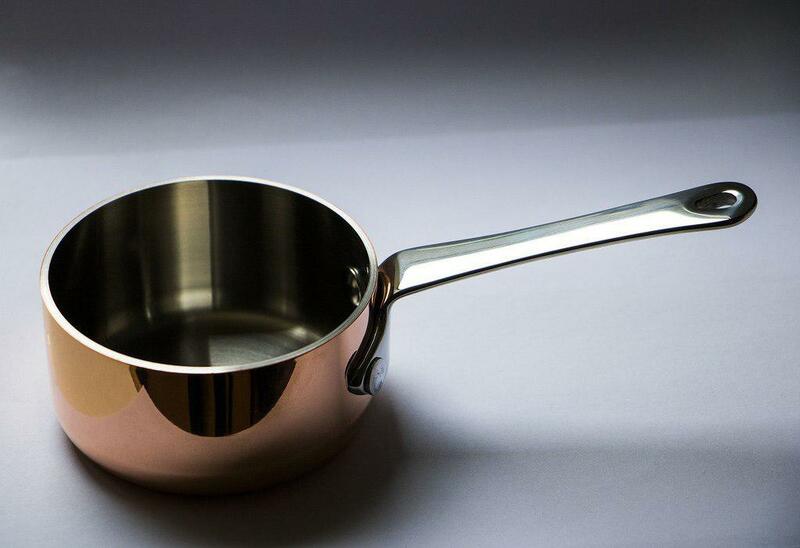 Copper is the most thermally responsive metal that’s commonly used in pots and pans. This means that your pots and pans will take the heat from your stove and transfer it to your candy quickly and evenly. More importantly, however, it means that when you turn the burner up or down, your candy will respond incredibly quickly. This means that you can make very small adjustments with your burner that will show up on your thermometer in moments. As a result, when it comes to maintaining precise temperatures, there’s no beating copper. In addition to being made from the best materials around, this handmade saucepan is pretty darn cool to look at. It’s got a wonderful hand-hammered exterior that will set it apart from your other cookware. Both the long handle (for safety while you boil sugar) and the helper handle are made from bronze, which provides a nice contrast to the red copper of the pot itself. Overall, you’ll really like how this pot looks. While it performs flawlessly on the stove, there are a few downsides to this saucepan. The biggest one is that it’s not designed for “normal” cooking. 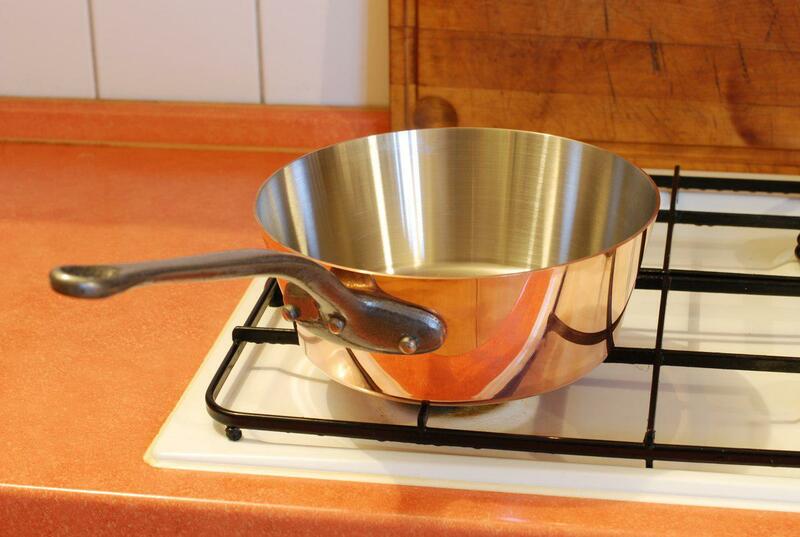 The cooking surface is made from actual copper, which can tarnish easily or even react to certain foods. It’s totally safe to use it to melt sugar, but you can’t cook anything with lemons, tomatoes, or other acidic ingredients. In other words, you’ll want to use this pot for candy making only. The other downside is that this pot is kind of heavy. This isn’t that big of a deal in most cases, since it’s small enough that you won’t really mind the additional weight. Still, if you think you’ll be moving this pot around your stove a lot from burner to burner, you may want to consider getting a lighter aluminum saucepan (with worse heat distribution). 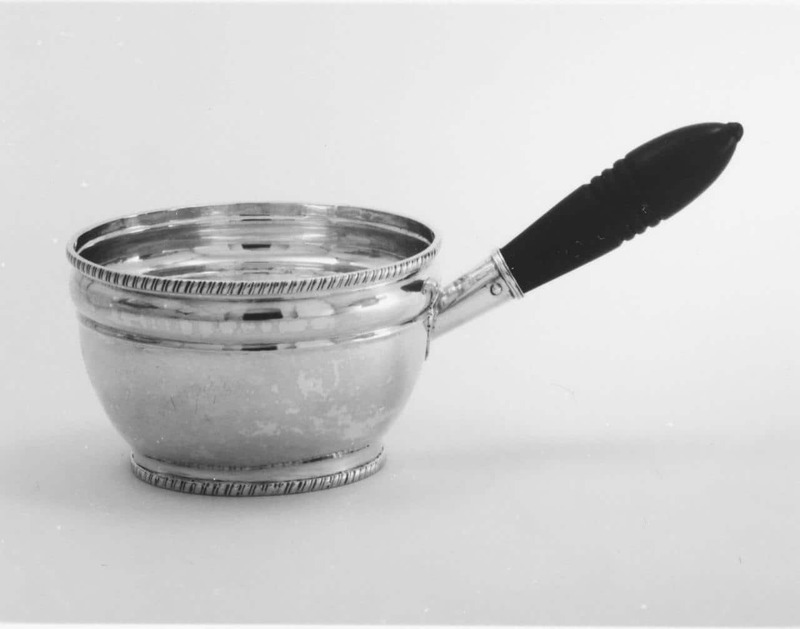 Copper pots like this DEMMEX saucepan are perfect for melting sugar — so much so that they’re often referred to as sugar saucepans or sugar pots. If you want an effective, beautiful tool to use for your candy making, this DEMMEX pot is a perfect choice. Mauviel is a leading manufacturer of high-end cookware. This copper pot is perfect for melting large quantities of sugar for whatever kind of candy you like to make at home. It’s got excellent thermal characteristics and a helpful design that makes pouring your melted candy out easy. There’s a big difference in price between this pot and the DEMMEX copper candy pot above. The reason for this is simple: this pot is huge. It’s 3.7 quarts, which is over twice as large as the 1.7 qt DEMMEX above. Despite the size difference, this well-crafted saucepan only weights about two pounds. I went over why copper is superior to candy making in-depth above. This candy making pot is made from solid copper with no fancy cooking surface or glaze, meaning that it has fantastic performance when it comes to heat. Like the DEMMEX above, however, it’s not suited for normal cooking. You’ll want to use this for candy making and not much else. The simple, straight sides of this pot aren’t quite as striking as the hand-hammered edges of the DEMMEX, but it’s still a beautiful addition to your kitchen. It’s also easier to cook with due to a handy pouring spout that makes dealing with hot melted sugar easy and safe. You’ll definitely appreciate this inclusion when you’re making candy. If you prefer the style of this pot but you don’t need a 3.7 qt behemoth, Mauviel makes it in other sizes that are priced fairly similarly to the DEMMEX above. No matter what size you choose, this copper candy pot will give you the precision power you need to make perfect candy in your own kitchen. When you’ve got your candy pot all ready to go, here’s a basic caramel recipe that you can use to get started. You’ll need a candy thermometer (freshly calibrated) and a few basic ingredients in order to make these delicious hard treats. Set vanilla aside. In your favorite candy pot, combine half of the cream (1 cup) with the other non-vanilla ingredients. Bring this mixture to a boil while you stir. Once it’s boiling, pour in the rest of the cream. Once everything is mixed, stop stirring. Using a candy thermometer, carefully raise the temperature of your candy to 242 F. Begin to test drops of your caramel syrup by dropping them into a glass of cold water. When the syrup forms a soft ball it’s ready for the next step. Stir the vanilla into your candy syrup and pour the syrup into a buttered pan. Place this pan in the fridge until it’s completely cooled. Next, remove the cooled pan from the fridge, let it rise to room temperature, and cut it into whatever shapes you want. Wrap your caramels in waxed paper and serve! Want more? Here’s a basic recipe for hard sugar candies that you can flavor however you want. In your favorite candy pot, combine the water, sugar, and corn syrup. Stir over medium-high heat until this mixture begins to boil and the sugar dissolves completely. Cease stirring and use a candy thermometer to tell when this mixture hits 295 F.
As soon as your syrup hits 295, immediately pull it off of the heat and stir in any flavoring or coloring you want to add. Pour or spoon the syrup into greased molds and let it cool off. You can also use this recipe to make incredible homemade lollipops! All four of the candy making pots above are excellent choices when it comes to making candy at home. The Cuisinart stainless pot is perfect for people who are just getting started, while the Mauveil and DEMMEX copper pots are dedicated sugar-melting tools that give you incredible control over the temperature of your candy. The double boilers aren’t nearly as good at melting sugar, but they’re excellent tools to have in addition to your larger candy pot for when you need to heat liquids or melt solids on the side. No matter which product you choose, you’ll be amazed at the results you can achieve in your own kitchen with practice, patience, and a bit of creativity.